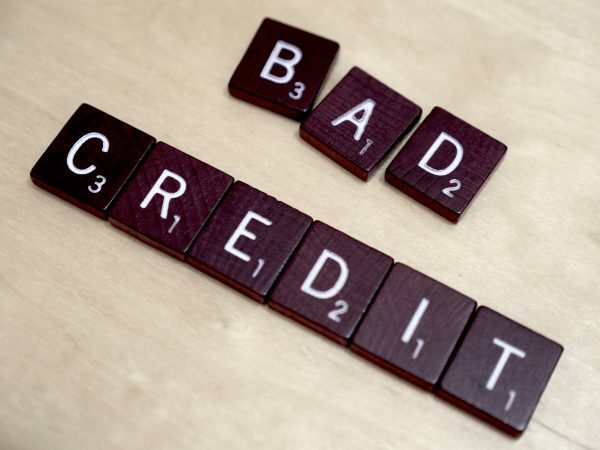 Is Credit King Or Can You Get Approved With Bad Credit? Credit can make or break your application for a home loan. A high credit score can cover a multitude of blemishes elsewhere in the application. Conversely, high income, a big down payment, and other “strengths” can’t make up for a terrible credit score. Plus, higher credit scores often mean better mortgage rates and terms for you. NSH Mortgage has helped clients get approved with bad credit, as well as get them a stated income loan in Florida. But what happens when you have excellent credit, but your husband, wife, boyfriend, girlfriend, or partner…well, doesn’t. This is a common situation, but one that mortgage applicants overcome every day. Even when your partner has poor credit, you may still be able to buy your dream home, or refinance your current one. The first step to getting approved is knowing how lenders view two-borrower applications. Lenders don’t average or “blend” credit scores from the two applicants. They use the “lower mid score” of the two borrowers instead. The shaded score above is the lower mid score, and the one that the lender will use for qualifying purposes. Fortunately, a number of strategies can help if your spouse or partner has a credit score that makes it difficult to qualify. Sometimes creditors make mistakes. Actually checking what’s on your credit report — and why your scores are low — is a great place to start. For today’s consumer, it’s relatively easy to access your credit reports. All three bureaus allow for one free report each year. Make sure that you and your spouse’s credit reports are error-free. One credit error can cost you up to 100 points. But you can quickly remove it with a rapid rescore. Another strategy: pay down credit cards. According to myFICO, the amount of available credit you have out compared to the available limit makes up a large part of your credit scores. Keep credit card balances under 30% of their high-limit. Another great way to have an immediate, positive impact on your spouse’s credit score is for him or her to become an authorized user on a good-standing credit account that belongs to you or a different person completely. Your spouse essentially borrows another person’s stellar credit history, and that can bump the low score. Having two people on the loan can help you qualify for a larger loan. Two incomes are often better than one. However, if one applicant has poor credit, he or she can do more harm than good. Sometimes it makes sense for the partner with good credit to apply for the mortgage alone. If the spouse with most of the income also has good credit, this could be a quick and easy fix. Just make sure you can qualify for the mortgage with only the single source of income. Fortunately, in most cases, both spouses can still be on the deed regardless of whether one is left off the loan. But, what about the down payment? A spouse or partner can gift the other applicant the down payment money, using a simple gift letter. The giftor does not have to qualify for the loan or even show their credit score. Finding a relative who will co-sign can be exactly what helps you get approved with bad credit for a mortgage when your partner is credit-challenged. A co-signer is someone who agrees to take responsibility for the mortgage loan if the primary borrower is unable to pay. The guidelines for adding a co-signer can vary from lender to lender, as they do according to the type of mortgage for which you’re applying. In many instances, the co-signer is a great short-term solution to helping you get into your home. In fact, you may only need the co-signer for a short period. You can ask a relative to co-sign while the spouse is working on getting their credit scores up. Every situation is different but it could be possible to refinance the co-signer off of the loan, adding the spouse onto the new loan, just 12 months down the road. To get approved with bad credit may be easier than you think. If your partner has low credit scores, it doesn’t mean you can’t get approved for a mortgage. You can call NSH Mortgage, and we will be able to help you get a approved with bad credit for a mortgage as well as explain how to improve your bad credit.